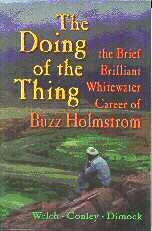 Winner: The Doing of the Thing: The Brief, Brilliant Whitewater Career of Buzz Holmstrom. By Vince Welch, Cort Conley, and Brad Dimock. Published by Fretwater Press. In this well-researched and well-written biography, western whitewater pioneer Buzz Holmstrom, famous for his 1937 thousand-mile solo run down the Colorado River, comes to life. Near its conclusion, the book answers one of the great mysteries of the whitewater world: how and why did Holmstrom die on the Grand Ronde river in Oregon? This is a wonderful story about rivers and wooden boats, humility, solitude, and one man's lone struggle in a difficult and changing world. More information. Winner. 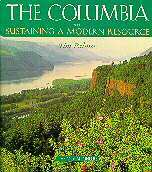 The Columbia: Sustaining a Modern Resource. By Tim Palmer. Published by The Mountaineers. Tim Palmer, in one of his finest works on rivers, celebrates the beauty and natural resources of the Columbia. Taking readers from one tributary to another across the vast and varied Pacific Northwest landscape, he describes the river's watershed, the intricate pattern of development, and its dwindling forests and salmon runs. He details what is wrong but also offers hope that responsible politics can redirect society toward a sustainable future. 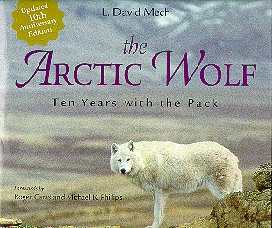 Ten Years with the Pack, By David Mech. Published by Voyageur Press. Written by one of the world's foremost authorities on wolves, this book is about Mech's work with a pack of Arctic wolves which he first began to study in 1986. It is as much a fascinating personal account as it is a classic field study. Moreover, it's a stylish and elegant book, lavishly illustrated with color photography. Winner. 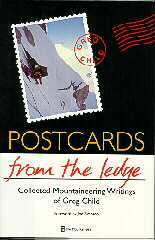 Postcards from the Ledge: Collected Mountaineering Writings of Greg Child. By Greg Child. Published by The Mountaineers. Postcards from the Ledge establishes Greg Child as one of most talented and versatile writers of the mountaineering genre. A competent and experienced climber, he is an astute and objective observer. He is humorous and serious, and as adept at elegant descriptions of the high moments of life in the mountains as he is describing the sordid and repulsive side of the sport. By Margaret Murie. 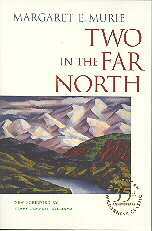 Published by Alaska Northwest Books. This book, first written in the 1950s and still in print, is authored by the grand dame of the wilderness movement, Margaret Murie. Margaret has helped generations of men and women understand the need to preserve wild landscapes. In Two in the Far North, she describes her life in Alaska: her growing up in Anchorage and her adventurous trips into the Alaska wilderness with her husband and biologist, Olaus. It is a wonderful read and a true American wilderness classic. More Information. Edited by Don Graydon and Kurt Hanson. 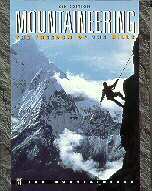 Published by The Mountaineers. Freedom of the Hills is the classic English-language text on mountaineering and the best selling climbing instruction book of all time. First published in 1960 and now on its sixth edition, this authoritative and expansive book has evolved with the times, while maintaining its high and exacting standards. It is an essential part of any outdoor library. By Duane Raleigh. Illustrated by Mike Clelland. Published by Stackpole Books. Knots and Ropes is not a fancy book. It's less than 100 pages in length and there's no color photography. But it is the book's plain and simple approach which makes it so appealing and useful. 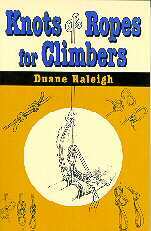 Duane Raleigh's text along with Mike Clelland's clever, but clear and understandable illustrations, remove the mystery surrounding climbing knots and makes tying them a snap. Edited by Maurice Hornocker. Andy Lewis, Art Director. Tom Lewis, Design Director. Produced by Tehabi Books and published by Sierra Club Books. 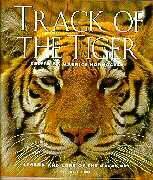 Track of the Tiger is a compelling and masterfully designed book with rich, stunning photography by some of the world's best nature photographers. Nine essays, edited by eminent biologist, Maurice Hornocker, bring alive this magnificent and legendary animal, the largest of the world's cats. By Alan Tennant. Published by Gulf Publishing Company. Longtime herpetologist Alan Tennant skillfully combines scientific data with straightforward comments and observations to make this book an invaluable resource tool for identifying and appreciating Florida's remarkable snake population. 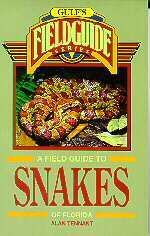 A well crafted and organized guidebook, it has understandable text and crisp, easy-to-use color photographs of every snake described in the book. More information. By Stephen R. Jones and Ruth Carol Cushman. Published by Pruett Publishing Company. 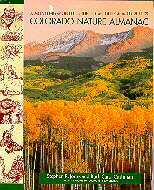 Wonderfully readable and well-researched, this is a month-to-month guide to the rhythms of nature in Colorado. It includes wildflower blooming charts, bird arrival times, a naturalist's where-to-go directory, and entertaining facts about the state's flora and fauna. By Tom Lorang Jones. Photographs by John Fielder. Published by Westcliffe Publishers. 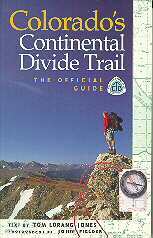 This guidebook covers the 759-mile stretch of the Continental Divide Trail through the state of Colorado and includes trail descriptions, history, conservation information, and route finding hints. It's an outstanding resource for hikers and mountain bikers. From brilliant color photography to colorful maps and graphics to insightful writing, this is a model guidebook. More information. Judging panels for the 1998 National Outdoor Book Awards included representatives from the Association of Outdoor Recreation and Education (AORE) and invited authors, book reviewers and trade professionals. AORE representatives serving as judges for the 1998 awards include: Jim Fullerton, Idaho State University; Steve Guthrie, Unity College, Maine; C. J. King, Road Less Traveled, Chicago; Johnny Lee, Hurricane Island Outward Bound School, Maine; Rodney Ley, Colorado State University; Jim Moss, Outdoor Industry Attorney, Lakewood, Colorado; Ron Watters, Award Chairman; and Melanie Wulf, REI (Oakbrook Terrace, Illinois). Guest judges include: Jerry Dixon, author, naturalist, teacher and Alaska's Christa McAuliffe Fellow from Seward, Alaska; Jackie Johnson Maughan, novelist and author of six books; Brett Pauly, Outdoor Editor for the LA Daily News; Mark Reynolds, publisher of Adventure Travel Magazine, Oklahoma City; Ann Weiler Walka, naturalist, author and nature poet from Flagstaff, Arizona; and Jerry Watt, Product Manager and national book buyer for REI.